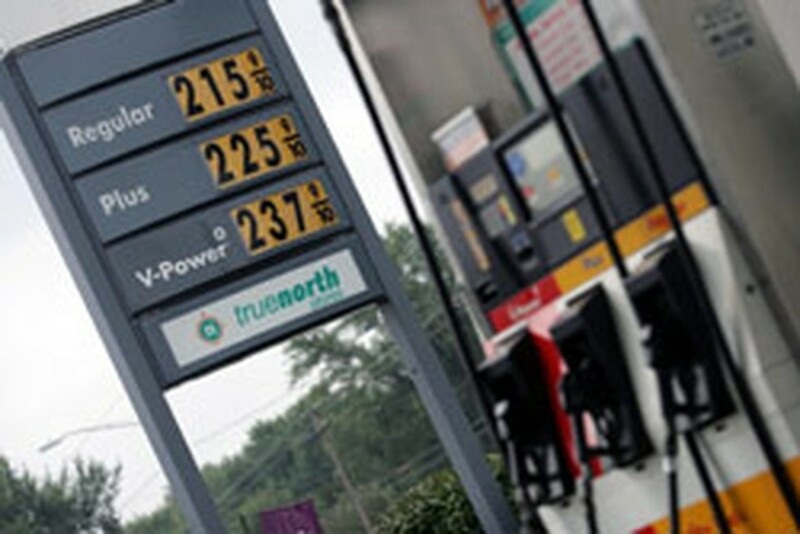 Low gas prices are advertised, September 13, 2006 at a gas station in Toledo, Ohio of the US. Oil prices were higher in Asian trade Thursday, picking up after the market consolidated near multi-month lows in recent sessions, dealers said. At 11:00 am (0300 GMT), New York's main contract, light sweet crude for October delivery, was up 55 cents to 64.52 dollars a barrel from its close of 63.97 dollars in the United States Wednesday. Brent North Sea crude for October was 51 cents higher at 63.50 dollars. "Pricing has dropped quite a bit since the high reached in July," said Victor Shum, an analyst with energy consultancy Purvin and Gertz in Singapore. "I think when the price falls so sharply due to no change in the fundamentals, that actually creates an opportunity to buy so that's why some traders believe the market may have reached a bottom," he said. "The market has been driven by short-term news events ... all it takes is one or two news events to turn the market around," he said. The International Monetary Fund said in its semi-annual World Economic Outlook report issued Thursday that crude prices will stay high next year in a 70-75 dollars range due to strong US and Chinese demand as well as supply-related issues. It also warned that a further escalation in oil prices beyond that level cannot be ruled out in the event of deteriorating tensions involving Nigeria, Iran or other key crude suppliers. "Looking forward, with spare capacity expected to remain tight, futures markets suggest that prices of crude oil will remain high for the remainder of 2006 and 2007," the IMF said. Meanwhile, dealers said falling oil prices are not uncommon at this time of year, when gasoline, or petrol, consumption traditionally tapers off and winter fuel demand has yet to accelerate. "This is a very seasonal correction; we're at a seasonal low point for product demand and a seasonal low point for crude demand," Calyon analyst Mike Wittner said. He said maintenance schedules and cuts to refinery runs will eventually start to tighten product demand, while data indicates that Chinese demand remained solid in July.